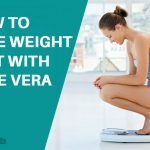 How to Take Spirulina for Weight Loss? Amidst the growing demand for natural foods that help in promoting weight loss, the freshwater plant, spirulina, has emerged as a true winner. These blue – green algae are renowned for its intense flavor and extremely powerful nutrition profile. The plant, which s found at various locations across the globe, has today become one of the most talked about and researched super foods. Available in capsule, tablet and powdered form, integrating spirulina in every day diet for getting various health benefits becomes extremely simple. Let us read to know how effective is using spirulina for weight loss. What Does Spirulina Do for Weight Loss? Spirulina s generally consumed as a natural dietary supplement that offer proper nutritional benefits for enhancing the overall health of the users. The natural super food proves effective in making the users fee fuller and curbing their cravings without depriving them of the essential nutrients needed by the body. Because of Its capacity to maintain and control weight in a natural manner makes spirulina one of the most popular and effective weight loss food supplements available in the market today. Listed below are the various nutritious elements of spirulina, which make it a great weight loss supplement. It has extremely low calorie content, which help in creating a negative energy balance in the body of its users, thus making it extremely effective for weight loss. Spirulina is known to have an extremely high protein content, which ensures that it is extremely slow to digest as compared to simple carbs, curbing the hunger pangs of users for a longer time. 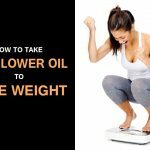 The algae is a rich source of omega-3 fatty acids, which help in regulating insulin levels and also minimizing carbohydrate binging, thus aiding weight loss naturally. The anti-oxidant properties of spirulina help in reducing toxic build up by significant margins, which is one of the leading causes of weight gain. The best way to gain the benefits of spirulina for weight loss is by consuming it as a food supplement in one of its various forms. Spirulina powder offer the most versatile option for consuming this super food for ensuring effective weight loss. Stir the mixture to ensure that the powder is properly mixed. Alternately you can also sprinkle the powder on a bowl of salad or add it to stir-fried vegetables. Drink the mixture for effective weight loss. Repetitions: At least once every day. Best time to use: Any time during the day. Consuming siprulina tablets is one of the easiest and most effective ways of gaining weight loss benefits from this super food. 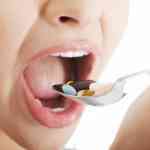 The exact number of capsules to be taken might vary from individual to individual and depends on generally on their weight loss objectives as well as their overall health and lifestyle. Swallow them with a glass of water. Best time to use: Half an hour before meals. Chlorella is a fresh water microalgae like spirulina and offers almost similar weight loss benefits. Take a glass of smoothie, juice or shake. Add one part each of spirulina and chlorella to the drink. Stir the mixture well to let all the ingredients mix properly before drinking it. Repetitions: 2-3 servings every day. Best time to use: Before meals. Spirulina is an extremely versatile food that offers countless health benefits to the consumers, while also fulfilling their everyday nutrient needs. In fact the algae is so full of essential nutrients that many people believe that consuming it is enough for enjoying a fit life for a long time. It not only helps in curbing the habit of overeating amongst individuals but also helps maintain the pH of the body for aiding weight loss. 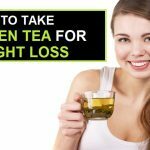 How to Drink Dandelion Tea for Weight Loss?